A pioneering choreographer, leading researchers in the fields of climate change and reproduction, a best-selling novelist and one of television’s best-known journalists will speak and receive honorary degrees during Bates College’s 144th commencement ceremony at 10 a.m. Sunday, May 30, on the college’s historic Quad, at Campus Avenue and College Street. The event concludes the undergraduate careers of some 456 members of the Bates’ class of 2010, representing 33 states and 33 countries. Dancer-choreographer Harris has taken hip-hop dance from inner-city streets to a mainstream audience. In so doing he has transformed both art form and audience, and has proven his own belief that hip-hop has the power to transcend boundaries of race, religion, gender and economic status. Harris began his performing career in the 1980s with the Scanner Boys, a group that he helped found, and in the mid-1980s he toured internationally with the Fresh Festival, the first hip-hop tour. 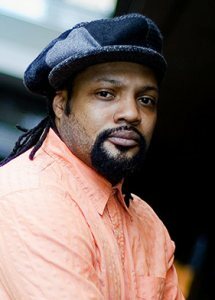 He founded Rennie Harris Puremovement in 1992, and the company gained national visibility in 1995 through performances with Dance Africa America. 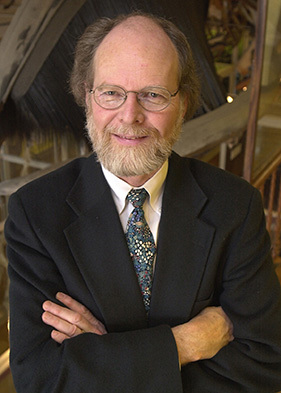 McCarthy is Harvard’s Alexander Agassiz Professor of Biological Oceanography and he has led many national and international committees and research programs relating to ocean and climate science. He is a fellow of the American Academy of Arts and Sciences, a member of the Royal Swedish Academy of Sciences and in 2008-09 served as president of the American Association for the Advancement of Science. McCarthy researches the regulation of sea plankton productivity, focusing on regions around the world affected by seasonal and inter-annual climate variation. He received a bachelor’s degree in biology from Gonzaga University and a doctorate from Scripps Institution of Oceanography. Veteran journalist and television anchor Pauley is known for her 13-year tenure as co-host of NBC’s Today show and for 12 years as co-host of Dateline NBC. One of the most influential members of a pioneering generation of female broadcasters, Pauley became the first woman to anchor the evening news in Chicago and a year later, in 1976, was named co-host of Today. She was 25. During nearly three decades at NBC, Pauley covered events that have defined our time, from the fall of the Iron Curtain to the attacks of Sept. 11. 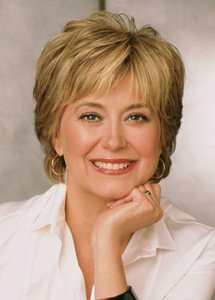 At NBC, Pauley also anchored evening newscasts and hosted a weekly newsmagazine, Real Life with Jane Pauley, and MSNBC’s retrospective news program Time and Again. Pauley has been honored with numerous awards including multiple Emmys, the Radio-Television News Directors Association’s prestigious Paul White Award and the Gracie Allen Award for outstanding achievement from American Women in Radio and Television. She is widely admired for her openness about her personal struggle with bipolar disorder in the early 2000s, which she wrote about in the memoir Skywriting: A Life Out of the Blue (Random House, 2004). In September 2009, she lent her name to the Jane Pauley Community Health Center in her home state of Indiana. Serving local residents regardless of insurance or income, the center emphasizes the integration of medical, dental and behavioral health. Pauley received a bachelor’s degree in political science from Indiana University in 1972. A resident of New York City, she is married to Doonesbury cartoonist Garry Trudeau. Pulitzer Prize-winning novelist Strout, a member of the Bates class of 1977, understood even as a child that writing would loom unusually large in her life. At home, writing “was just in the air,” Strout explained in an August 2009 Washington Post article, and her mother urged her to write down what she saw. From this early introduction to the literary life, Strout has developed a career distinguished by three full-length fiction works (all published by Random House) nationally acclaimed for their power to conjure up captivating characters with complex emotional lives. 1998’s Amy and Isabelle won the Chicago Tribune Heartland Prize and a Los Angeles Times award for a fiction debut, and was made into a movie for ABC television in 2001. Abide with Me (2006), the story of a small-town clergyman’s fall and redemption, was a national best seller and Book Sense pick. 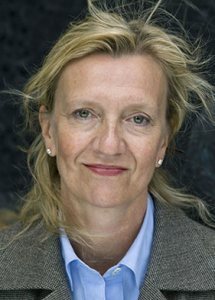 Olive Kitteridge, a “novel-in-stories,” won the 2009 Pulitzer for fiction and became a New York Times Best Seller. All these works are set in Maine. Strout was born in Portland and spent much of her youth in Maine, a state that means “just about everything” to her, as she told Bates Magazine in 2006. Majoring in English at Bates, Strout earned her first fiction byline in 1982 and since then has published short stories in The New Yorker, O: The Oprah Magazine and various literary journals. While paying her dues as a writer, Strout worked a variety of jobs including waitress, mattress salesperson and nightclub pianist. She holds a law degree from Syracuse University and teaches in a low-residency writing program at Queens University, Charlotte, N.C. She lives in New York City. Woodruff is an obstetrics and gynecology researcher who coined a new word, “oncofertility,” to describe her groundbreaking work creating clinical care options for women who will lose their fertility due to cancer treatment. As co-editor of the first book on this topic, Oncofertility (Springer, 2007), she describes the field’s interdisciplinary technology and procedures — but also, importantly, collects and shares human stories. The approach reflects Woodruff’s focus on the human condition in the context of research. “We’re trying to create a total shift in how we interact with female cancer patients to anticipate their lives as survivors and their ability to bear children,” she says of her work. Woodruff is a Thomas J. Watkins Professor of Obstetrics and Gynecology at Northwestern University’s Feinberg School of Medicine as well as professor of biochemistry, molecular biology and cell biology in the Weinberg College of Arts and Sciences. 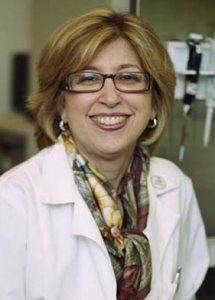 She is chief of the newly created Division of Fertility Preservation and founder and director of the Institute for Women’s Health Research, and she helped to create and now runs the nation’s first Oncofertility Consortium, a National Institutes of Health-funded initiative that represents medical innovators from the oncology and fertility fields. Her awards include the Endocrine Society’s Richard E. Weitzman Memorial Award for exceptionally promising young investigators, and she is a fellow of the American Association for the Advancement of Science. Woodruff, who earned a doctorate in biochemistry, molecular biology and cell biology from Northwestern, has published more than 100 peer-reviewed papers and 40 editorials and book chapters.